More or less my first real hacking project. This is a comprehensive GUI-based editor for the game Tails Adventures (or possibly "Adventure", depending on who you ask) that can edit levels, graphics, and lots and lots of other things. 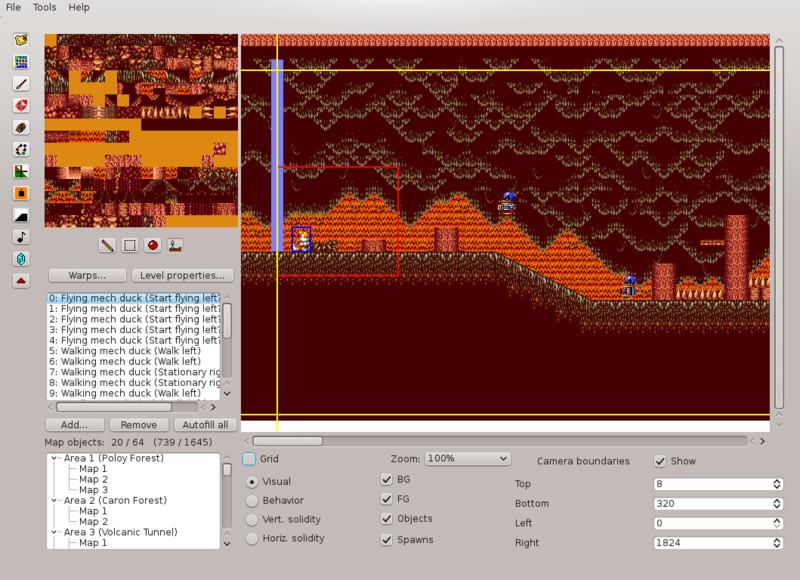 Anything you've reasonably wanted to do with Tails Adventures can probably be done with this. Whether anyone has actually wanted to do something with Tails Adventures is an open question. See the Github page for download links.